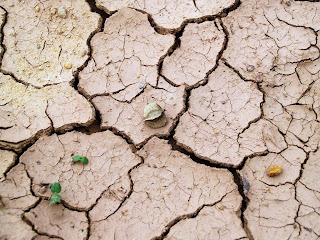 When there’s a drought, it’s not just the plants that suffer. People are affected too. 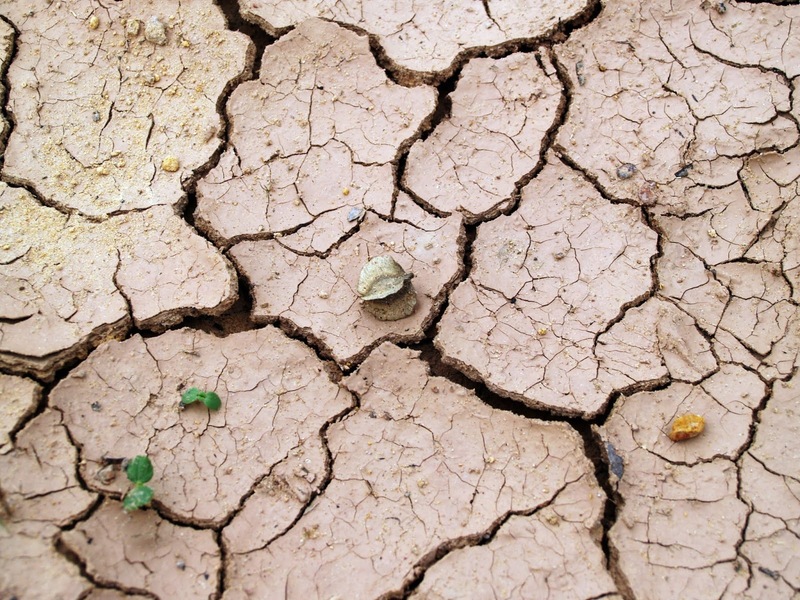 Climate change increases the risk of droughts, which puts stress on our water supply. When that happens, officials in your community may tell you to ease up on your water usage. There are many steps you can take to conserve water. While they’re especially useful during droughts, you can also do them year-round. • Reuse your water: If it’s not soapy, take leftover water from your sink and pour it in a plant or garden. • Turn it off: Don’t leave the water running while you’re brushing your teeth, washing dishes or shaving in the shower. • Shop smart: When buying appliances, choose water-saving ones. Look for products with the WaterSense label, which are certified to be water-efficient. • Fill ‘em up: When you have to use big water-sucking appliances like a dishwasher or washing machine, wait until they’re full. • Plant smart: Instead of grass, plant native ground covers, shrubs and trees with lower water demand. • Pile it on: Use mulch to help keep water in the soil and control weeds. • Keep it tight: Cover pools when not in use to reduce evaporation. Your local and state officials will have more ideas and rules for you to follow during a drought, so be sure to pay attention. In the meantime, check out more tips here. Throughout the long winter months, we often dream of the warmth that summer brings. But what do we do when the heat is just too much? Extreme heat can be really bad for our health. Fortunately for us, there are things we can do to make sure that we stay healthy while making the most out of the summer months. First, stay alert. If the weather forecast is calling for super-hot days, there may be heat alerts from national and local authorities telling you to protect yourself. 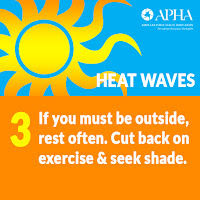 In extreme heat, stay indoors. 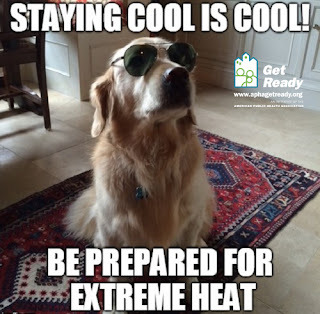 Find places with air conditioning — such as libraries, recreational centers or a friend’s house — that will keep you cool. 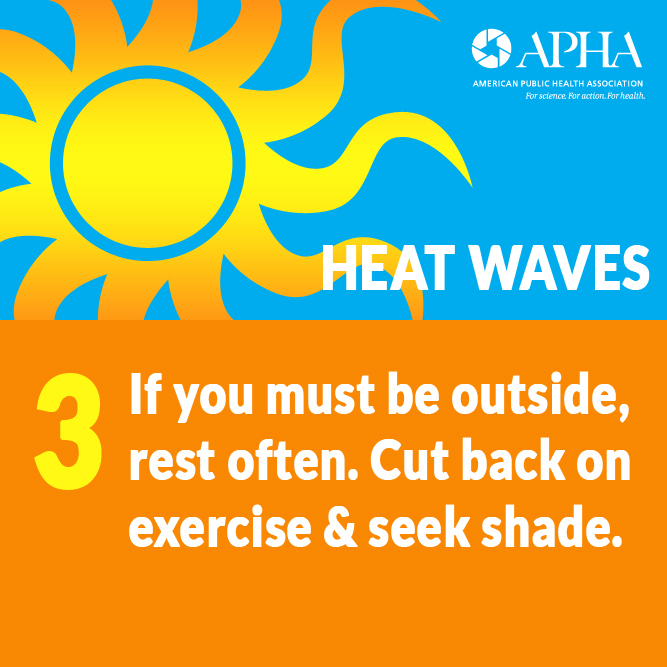 If you have to be outside, avoid a lot of physical activity and find shade. Never, ever leave a person or pet alone in a car on a hot day. Protect your body with what you put in and on it. 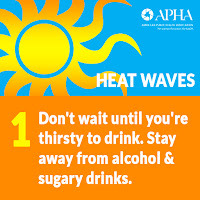 Avoid sugary drinks in extreme heat. Drink water to stay cool and hydrated and eat frequent, small meals. Leave the dark clothing in your closet. Light, loose clothes reflect heat away from you and allow for cool air flow. So why all the fuss? 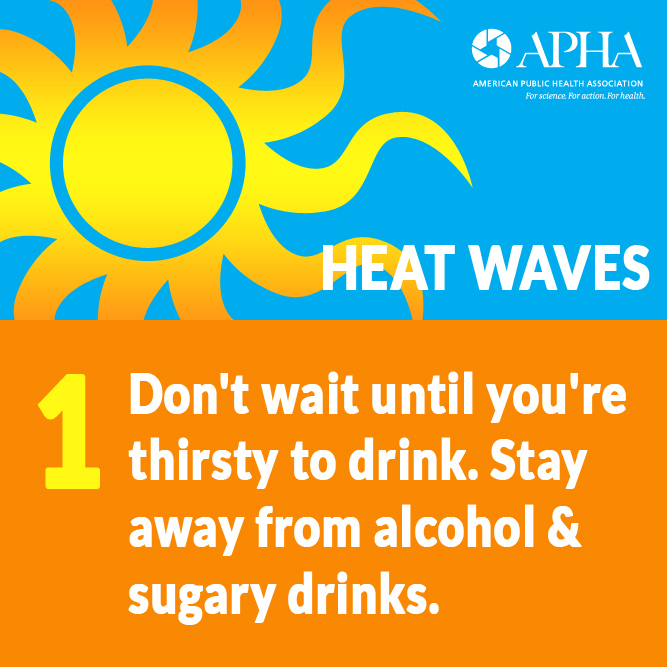 The fact is, extreme heat can make you really sick — and even be deadly. Look for signs like muscle spasms, dizziness, exhaustion, sweating, nausea, vomiting and fainting. They could mean that you are getting sick from the heat. If so, cool down with a cold bath and a cool drink. If it’s an emergency, call 911. 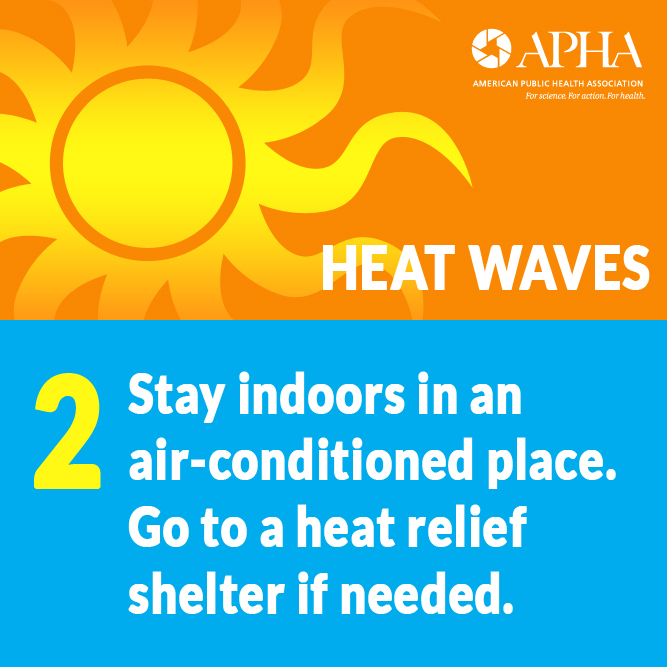 For more tips on how to stay cool this summer, check out our fact sheet and share our heat wave graphics. It’s summertime! Unfortunately, along with barbecues, vacation and beach days, summer also means peak mosquito season. Our new Get Ready infographic can help you stay safe this summer! 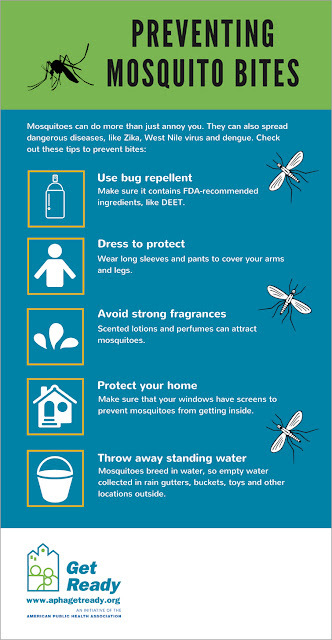 Mosquitoes aren’t just itchy and annoying. They can carry diseases like West Nile virus, dengue, malaria and Zika. West Nile virus is the most common mosquito-borne disease in the U.S., with more than 2,000 people getting sick from it last year. The good news is that our new Get Ready infographic has great tips to ward off mosquitoes, including what to wear, how to protect your home and ways to mosquito-proof your yard. Our infographic is great for posting on social media and your website. You can print copies and share them at a summer health fair, on the office bulletin board or on your home fridge. There’s even space to add your organization or health department’s logo. 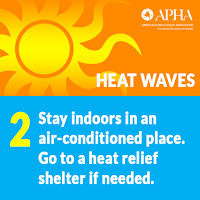 While you’re on the Get Ready site, check out our other great infographics, including tips on heat, storms and floods. Sometimes our furry friends love us so much they think they are one of us. If you have an animal that loves acting like a human, they could be featured in our next Get Ready calendar. Whether your puppy sometimes likes to help out with the dishes, or your rabbit loves to dress up bunny-professional, we want to see it! Just snap a picture of a critter doing something adorably human. It could be a pet, zoo or farm animal or creature in the wild. Then submit your photo to APHA's 2018 Get Ready Photo Contest. If your picture gets selected, our Get Ready team will tack on a cute caption or fact about the importance of emergency preparedness and include it in our 2019 calendar. To look back at previous photo contests, check out our 2014 calendar or 2013 calendar. Take a look at our FAQs and rules for full details. Submissions are open now through July 27, so get snapping!